“Then Jesus said to his disciples, ‘Whoever wants to be my disciple must deny themselves and take up their cross and follow me. For whoever wants to save their life[a] will lose it, but whoever loses their life for me will find it’” (Matthew 16:24-25). By its nature, the act of surrender is difficult. To our human minds, surrender can be processed as defeat or loss of control. Jesus made it plain to his disciples that a life in service to Him would involve a denial of self. 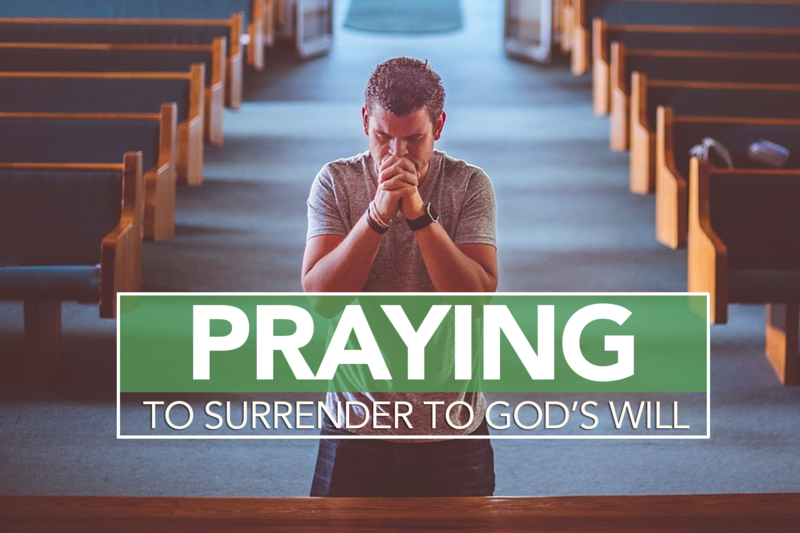 To live the very best life that God has planned for us (Romans 8:28), we must be willing to “wave the flag of surrender.” This process only starts when one accepts Christ as Savior and continues in the daily life of the believer. The surrendered life will not be one that is problem free and perfect. Rather, the surrendered life is one willing to follow Christ through every problem, pain, or circumstance necessary so that His purpose is accomplished and glory revealed. Praise the Lord because the earth is His, along with everything in it, the world and all who dwell here. Ask Him to impress this truth on your heart, and to help you live accordingly (Psalm 24:1). Ask God for His mercy to help you to present your body as a living sacrifice, holy and acceptable to God, which is your spiritual service of worship (Romans 12:1). Acknowledge that your life is not your own, confess to the Lord any area where you have attempted to direct your steps apart from Him. Invite Him to be the Master of all areas of your life Jeremiah 10:23). Ask God for daily grace to deny yourself, take up your cross, and follow Jesus (Luke 9:23-24). Ask the Lord to forgive you of seasons where you have pursued your own plans. Give any present decisions or situations to Him and trust that His purposes will prevail (Proverbs 19:21). Express to God your desire to humble yourself under His mighty hand. Admit areas where you might not fully be trusting in Him and commit them to Him so that when the time is right, He will exalt you (I Peter 5:6). Embrace the truth that you are not your own, for you were bought with a price. Share with God your desire to glorify Him in your body, mind, and soul (I Corinthians 6:20).